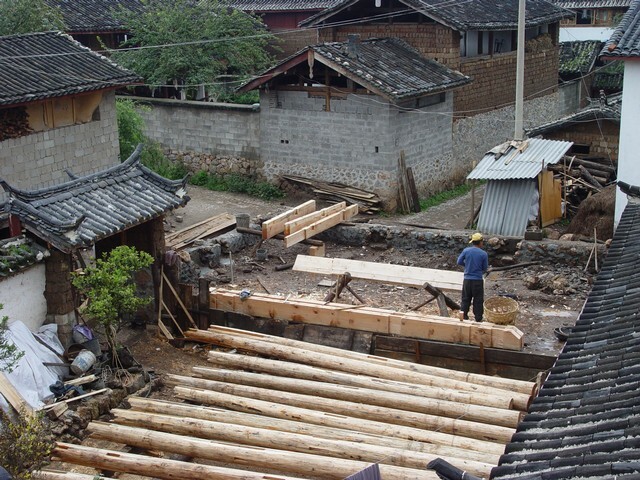 The workers were making beam columns with traditional methods when the wooden materials for the new building have been arrived. 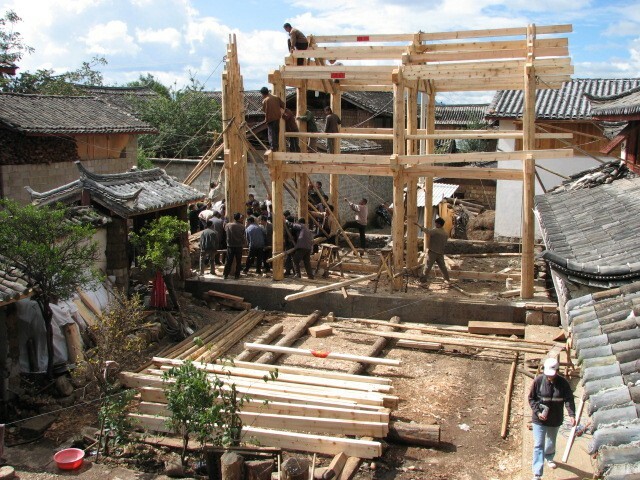 When building cross-beams, dozens of villagers came to help. 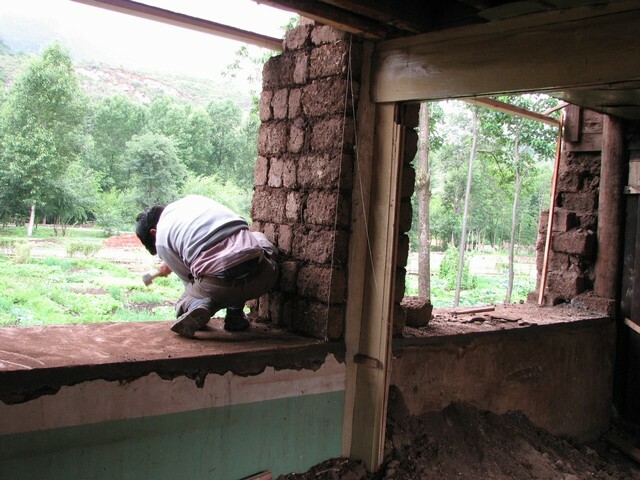 We made the beam frames stand up first and then finished the whole constructions of the beam frames in one day. 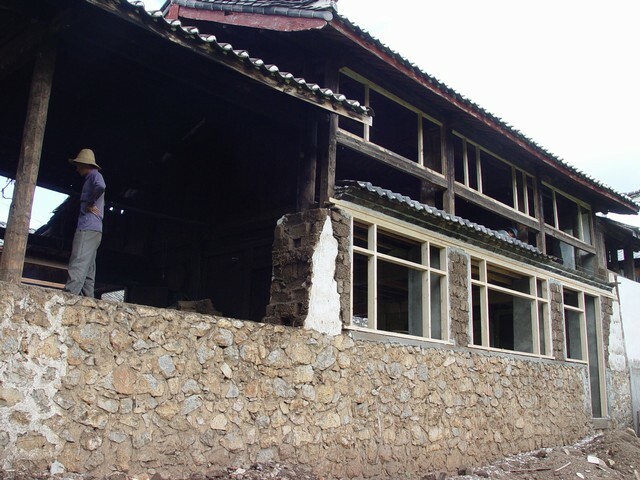 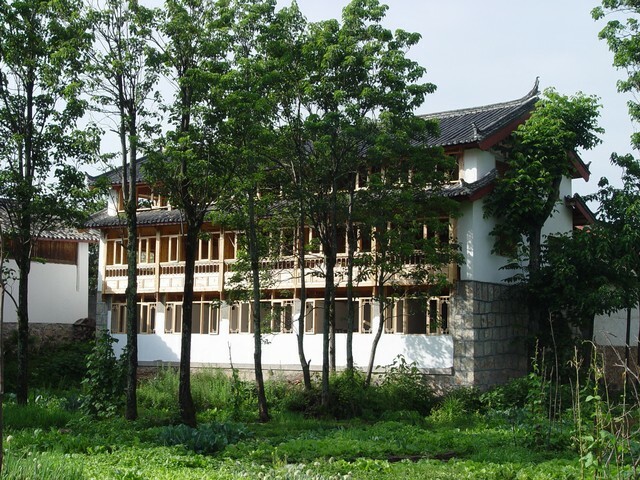 We keep the thick stone adobe wall from the old building, and replace the old windows by big glass windows so as to let customers to see the sceneries out of windows easily. 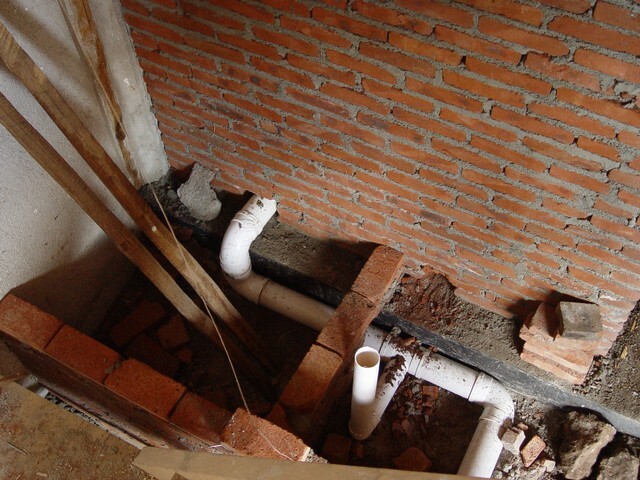 The toilets were built among the wooden beams and columns, and the waterproof and concealed work was the most important part. 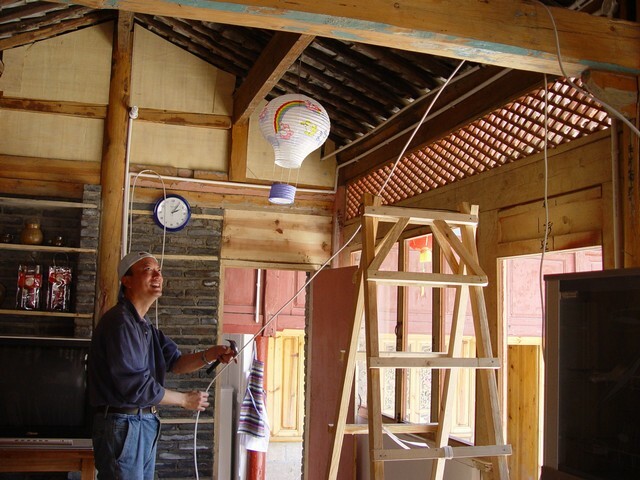 The second floor of the main building was a warehouse for food and other things. 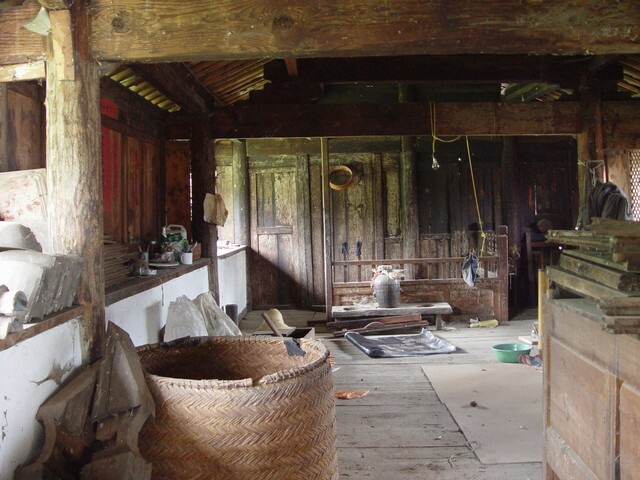 It will be our bedroom and workroom after reconstruction. 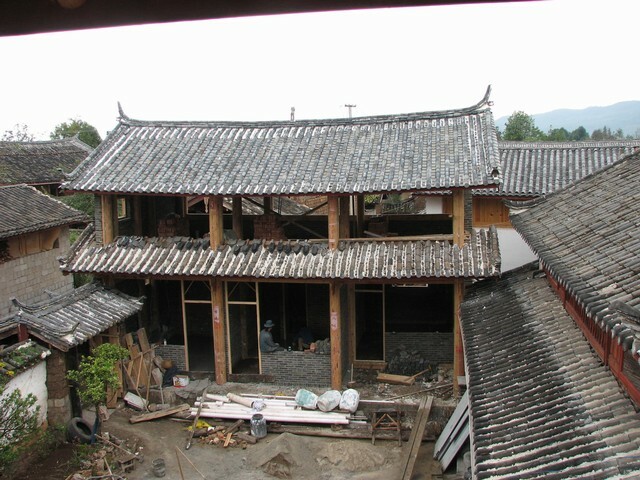 The main building under reconstruction has a kitchen in the left side before which was a lounge now. 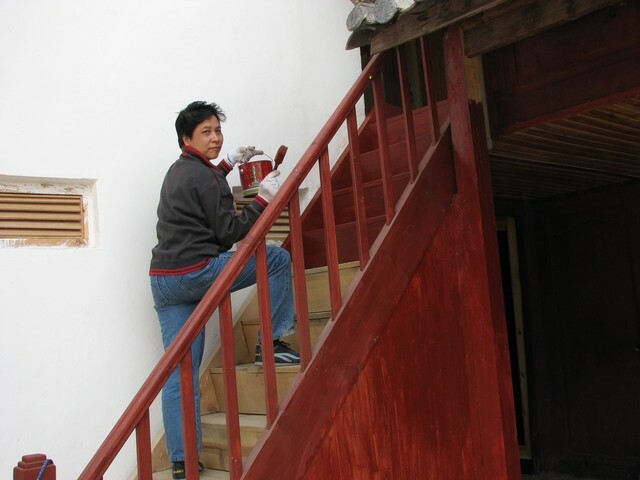 Return to our old job 30 years ago to install electric wires and lamps.